Here you are seeing the Lisa's CPU board.. 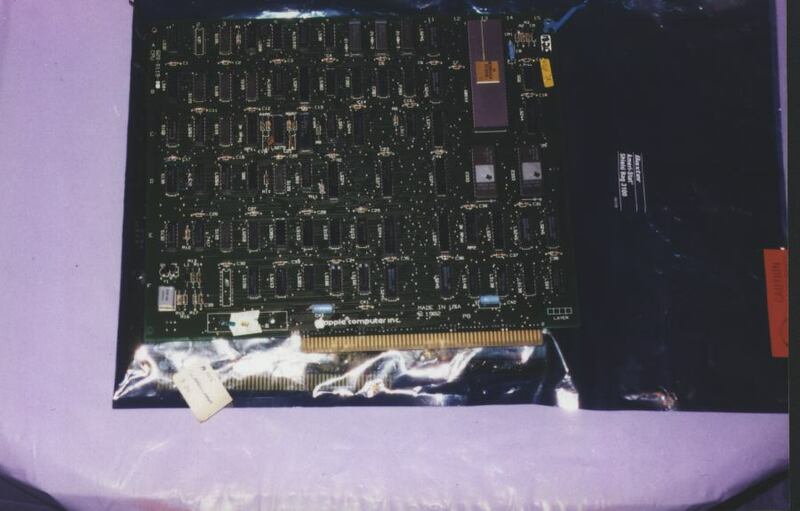 The CPU board plugs into the motherboard in the 2nd slot from the back of the machine and has a blue clip on ear on one side, a brow on the other. The motherboard has color coded lines to help you plug the CPU board into the right place. If you should switch the CPU and I/O boards accidentally, no problem, as they're not going to fit in each others' slot.